The 6m 75kvdc high voltage cable in use is easy to be broken down and damaged, and the repair is also difficult to master. 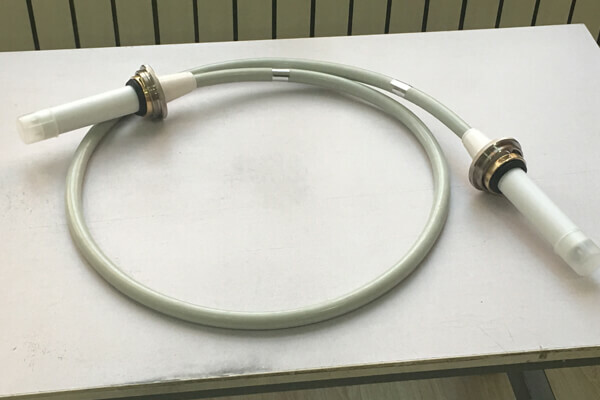 Newheek is a design and manufacturing expert for the medical 6m 75kvdc high voltage cable and high voltage connector. Our 6m 75kvdc high voltage cable is suitable for all medical devices. (2) poor quality of 6m 75kvdc high voltage cable; uneven thickness around the rubber layer and core wire; careless damage during assembly; burns of rubber during welding; discharge caused by incomplete cleaning surface; poor welding of core wire and plug. (4) it is often twisted, hard folded or stressed to break the insulation layer. The Newheek 6m 75kvdc high voltage cable is divided into 75KV and 90KV, and the length is divided into 5m,6m,7m,8m and 9m. Our 6m 75kvdc high voltage cable can meet your different purchasing needs.